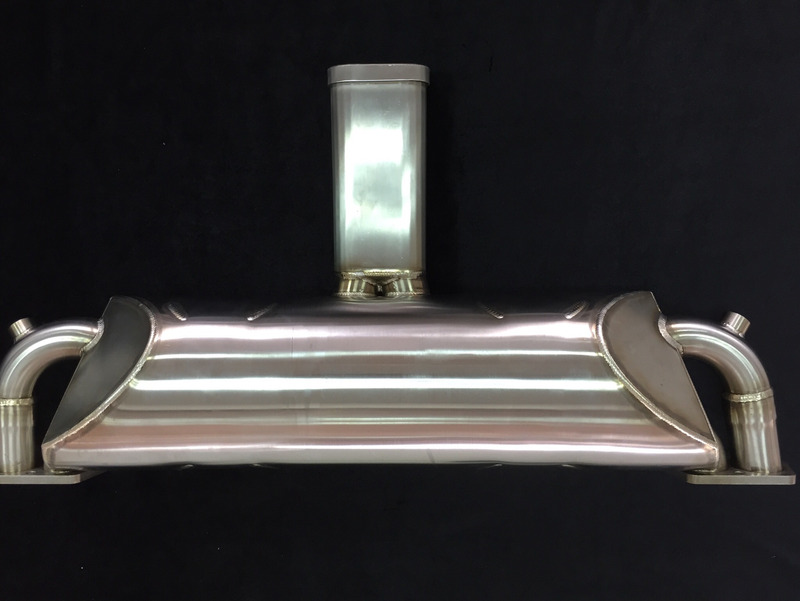 Stainless Steel Muffler for Type 4 Engine on beetle with Sebring System. 1. For Type 4 Engine upto 145 HP. 2. Special design for Merged Inner Headers. 5. Made by Vintage Speed Taiwan special for Carreraparts.